Barely two weeks after the Economic and Financial Crimes Commission, EFCC, declared former Adamawa State Governor, Murtala Nyako and his son, Abdul-Aziz, wanted, operatives of the anti- graft agency, this morning arrested the younger Nyako in Gombe, Gombe State. He was immediately flown to Abuja where he is currently being grilled by a crack team of detectives who had been working on the Adamawa investigation for several months. Abdul-Aziz, who was declared wanted by the EFCC in the case of stealing, abuse of office and money laundering, is currently telling investigators all he knows about illicit funds traced to companies where he has interest. Apparently wor¬ried and disturbed about seemingly endless bombing and killing of innocent souls in Northeast by Boko Ha¬ram insurgency, the Arewa Consultative Forum (ACF) has tasked the insurgency to choose between bombard¬ing them by the military or enter into dialogue with the Federal Government to end the bloody crisis. In a statement issued by the National Publicity Secretary of ACF, Muhammad Ibra¬him in reaction to Thursday killing in Biu market, Borno State, the Forum described the bloody attack as wicked. The statement said, “It is re¬ally disturbing that despite the security measures being de¬ployed by the government, the situation in Borno State where up to ten local government ar¬eas are still under the control of the Boko Haram insurgents is worrisome. “ACF therefore calls on the security agencies to in¬tensity their onslaught on the insurgents and also continue to share intelligence with the community. Nigeria’s ambassador to the United States, Professor Ade Adefuye was on Friday summoned by the US Congress over the re-scheduling of the general elections in Nigeria that were to begin on 14th February, 2015. The ambassador during the meeting in Washington DC debunked the impression in the international diplomatic circles that the military and the ruling party - the PDP - were working to scuttle the general elections. Adefuye who addressed Congresswoman Sheila Jackson Lee and members of the House Committee on Homeland Security over the election postponement also spoke with Ashiwaju.org, stressing he was being inundated with calls since the Independent National Electoral Commission (INEC) announced the re-scheduling of the general elections in Nigeria that were to begin on 14th February, 2015. Some lawyers have cautioned President Goodluck Jonathan to stop differentiating between the acts of stealing and corruption. The President had during the 8th presidential media chat on Wednesday maintained that there was a difference between the two acts. This came several months after he first made a similar statement. “If somebody is a thief, he is a thief. We should not use the word ‘corruption’ to cover a case of stealing. Thieves should be called thieves,” the President had said. However, a lawyer and human rights activist, Prof. Itse Sagay, said in a telephone conversation made available to Ashiwaju.org that there was no technical difference between the two acts and that persons involved in either should be made to face the wrath of the law. He said, “In a broad legal sense, they are the same. Stealing is taking what belongs to another person without the consent of the owner with the intention of keeping it permanently. “Corruption is using an office to acquire the resources of an organisation without working for it and without the organisation’s awareness. Looking at it, using an office as a political office holder to acquire what belongs to the state results to stealing. The commitment of the governor of Anambra State Chief Willie Obiano to the welfare of teachers in the state is borne out of a deep understanding of their motivations and needs as a son of a Headmaster who is amongst the most dedicated group of patriots that made most of us who we are. These reasons were adduced Wednesday by the wife of the governor of Anambra State Chief (Mrs.) Ebelechukwu Obiano at the commissioning of the Nigerian Union of Teachers (NUT) Secretariat, built by Speaker of Anambra State House of Assembly, Rt. Hon Princess Chinwe Nwaebili in Atani, Ogbaru Local Government Area. Rivers State gover¬nor, Rotimi Chi¬buike Amaechi, has said that the reason he has problem with President Goodluck Jonathan, whom he de¬scribed as a man who God has blessed, is that he has refused to give people the opportunity to reverse the current trend of poverty, even as he watches people steal the country’s monies. In an interview with jour¬nalists on his achievements while in office, he alleged that corruption is now a state policy. ﻿The youths in Abagana held a historic congress to set a new path for their future and develop a common agenda in preparation for the 2015 general elections. Although the recent visit by a 30-man strong business delegation from Thailand to Anambra State has come and gone, the full significance of its five-day stay in what used to be the crime capital of South East Nigeria will linger for a long time to come. For obvious reasons, the Thai Trade Mission to Anambra could be seen as the final proof that Governor Willie Obiano’s acclaimed exploits in ridding Anambra State of crime and criminal elements as widely reported in the media is no fluke. In a sense, it is the longest test of the efficacy of Obiano’s prowess in finding a lasting solution to an otherwise intractable challenge that had blighted the stated and stunted the economic growth of the entire South Eastern region for several decades. There is nothing hyperbolic about this claim. Anyone who is familiar with the economic map of Nigeria can attest to the pre-eminence of Anambra as a major hub of economic activities in West Africa in spite of the state’s profile as a crime-ridden wasteland carved into several fiefdoms by vicious gangsters. Governor Willie Obiano has declared the resolve of his administration to restore the lost glory of Onitsha and transform it into one of the major cities in Nigeria and the entire Sub-Saharan Africa. The governor made this declaration during the flag off of some inner city road projects in Onitsha. The roads are Ajasa, Allen, Ezenwa and Saineez streets. The projects were awarded to the Army Corps of Engineers at the contract sum of N1.1 billion with a completion period of three months. A breakdown of this cost shows that Ajasa and Allen streets were awarded at the cost of six hundred million naira while Ezenwa and Saineez Streets were awarded at the cost of N500 million. It’s that time of the year everyone is looking forward to. Little teddy bears smile out from shop windows, florists go on overdrive and women all over Nigeria are going on diets to prepare themselves for the onslaught of chocolates and other goodies that will come their way on February 14th. Valentine’s day is few hours from now and the retail world is gearing up for the extravaganza that is sure to ensue. Apart from the fact that Valentine’s Day is like Christmas in Lagos, here are some fun facts about it, as per a survey from Kaymu, Africa’s #1 online shopping community, conducted across 500 participants from its consumer base. "At Delta, we believe that people, values and culture drive our success," said Richard Anderson, Delta's chief executive officer. "We call it the 'Delta Difference.' It is essential for our employees to have an ownership stake in our business and share in the record-breaking achievements they helped create. Thank you to Delta's 80,000 people worldwide, who made 2014 an exceptional year by taking great care of our customers." Total individual payouts will equal more than 16 percent of employees' eligible 2014 earnings, which equates to an average of nearly two months' salary. In October 2014, Delta paid a 5 percent advance on profit sharing to employees. With the political atmosphere that herald the postponement of February general election and reactionary calls for peace to be maintained before, during and after the elections keep coming up from different wings of Nigeria, Bamidele Ajayi of Ashiwaju.org took turn to engage the Anambra state chairman of Ohaneze Ndigbo Youths wing, Honourable Anthony-Uche Ezekwelu on the state of the nation and moves postulated by Ndigbo to join hands in spreading the peace rhythm across the country. 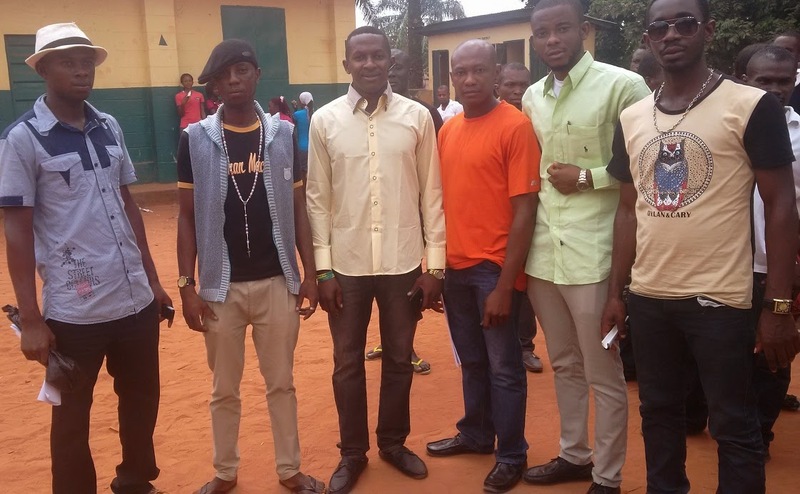 What is Ohanaeze Youth Organization's contribution towards enjoying the sustainable democracy? PROF JEGA OUT! PROF MIMIKO IN! All Progressives Congress (APC) presidential candidate’s wife Hajiya Ai’shatu Muhammadu Buhari has donated drugs worth N 135 million to various internally displaced persons, (IDPs) camps in Yola Adamawa State yesterday. Making the presentation of the drugs at the Damare (NYSC) IDPs camp in Girei local government area in the state, Mrs. Buhari expressed concern over the situation of the IDPs saying Nigerians should support their brothers and sisters in need of assistance as they faces this challenge. Mrs. Buhari hammered on the need for Nigerians to get it right in the forth coming General elections, by voting for people with the interest of their country and people at heart so that our nation can get out of the present mess. For allegedly endorsing the presidential candidature of Major Gen Muhammadu Buhari for the 2015 poll, the Ekiti State Governor, Mr. Ayodele Fayose, on Wednesday advised Nigerians not to fall for the antics of former President Olusegun Obasanjo. Fayose described Obasanjo's declaration of support for Buhari as a political somersault and a suicidal mission. Fayose, in a statement in Ado Ekiti on Wednesday, asked Nigerians to ignore Obasanjo because of his antecedent as a man who has penchant for deceiving people for his own political gains. It will be recalled that Obasanjo at a book launch in Nairobi, Kenya on Tuesday declared support for Buhari, saying he has capacity to fight corruption that is killing the system. Former Minister of Information, Labaran Maku on Tuesday in Abuja, denied reports making the rounds in the media that he accused President Jonathan of being the sponsor of Boko Haram. Maku, who addressed newsmen, said the reports were false and an attempt to discredit Jonathan by using his ardent supporters to make the falsehood look believable. He said that his campaign organisation had long refuted the publication. He added that he had to address the press as the issue was still being mischievously peddled by some media platforms. Nollywood leading actress, Rita Dominic has broken away from her normal routine of acting to romance politics in the heat of the around-the-corner presidential election. In a letter she wrote to her fans, Rita explained why she and her company, Audrey Silva, a company she co-owns with her manager, Midred Okwo, shot a video to support President Goodluck Jonathan re-election bid. According to her, President Goodluck Jonathan has done more for Nollywood than any Nigerian President in history. The Presidency has debunked rumours gaining ground in some online and social media that the Chairman of Independent National Electoral Commission, INEC, Professor Attahiru Jega, had been sacked by the Federal Government. A source from the office of the National Security Adviser, NSA, citing security concerns yesterday, warned politicians against spreading falsehood capable of inciting violence to desist from doing so. The source said they have been bombarded with calls from all parts of the country, describing the rumoured sack as an outright falsehood and mischievous propaganda, allegedly engineered by some forces within the main opposition, All Progressives Congress, APC. There was a whiff of something rotten in my kitchen on Saturday – and it wasn’t the cooking. No, it was emanating from the press conference I was watching live on my smartphone, in which Nigeria’s national electoral commissioner announced that polling, scheduled for February 14, was to be postponed by another six weeks. So now, tens of millions of Nigerian voters will have to wait until March 28 to choose between an increasingly embattled incumbent President Goodluck Jonathan (Peoples Democratic Party) and his challenger Muhammadu Buhari (opposition All Progressives Congress). Governorship races (including my friend and former CGD visiting fellow Nuhu Ribadu running as the PDP candidate in Adamawa State) must now wait until April 11. Karen Attiah in the Washington Post also noticed the smell. The official reason for the postponement is that the military needs six weeks to launch a new offensive against Boko Haram and cannot guarantee election safety at the same time. This is potentially plausible. But here are five reasons why I’m sceptical. A former Governor of Lagos State, Asiwaju Bola Tinubu, says soldiers have placed him under surveillance for the past three days. Tinubu, in a statement on Tuesday by his Media Office, claimed that the soldiers numbering 30 were first noticed in a truck close to his Ikoyi, Lagos residence around 11pm on Sunday. A soldier, Capt. Sagir Kooli, who exposed the alleged rigging of the June 2014 Ekiti State governorship election, had in a video which went viral last week said that Tinubu’s telephone was bugged by the Department of State Services. The former governor said in the statement that the soldiers were initially stationed about 500 metres from the gate of his house before they moved closer. Tinubu explained that on Monday night , the soldiers returned in two vans and stayed throughout the night. He claimed that some of them alighted from the vans and walked back and forth in front of the house. The APC leader,who alleged that the vans were stationed on both sides of the house on Tuesday morning, vowed not to be intimidated by the government. There were indications that the Presidency and the Peoples Democratic Party were already commencing tactics aimed at frustrating the decision of the Independent National Electoral Commission to make use of card readers for the 2015 elections. Investigations by our correspondent in Abuja on Monday and Tuesday, indicated that the ruling party and the Presidency were already looking at the possibility of mobilising Nigerians to demand that the use of card readers for the election be stopped. This is coming as a former National Chairman of the ruling party, who is now a chieftain of the All Progressives Congress, Chief Audu Ogbeh, said there were signs that the PDP was not interested in holding the elections. Rather, Ogbeh said, the party was still hell-bent on foisting interim government on Nigeria. A source in the Presidency, who spoke on condition of anonymity with our correspondent in Abuja on Tuesday, said that both the Presidency and some members of the National Working Committee of the party had been asked to continue to either condemn the use of the card readers for the elections or also that the commission be told to allow Nigerians to use the Temporary Voter Card instead of the Permanent Voter Card for the election. He said, “We are not comfortable with the card readers. For example, we have not seen any and we don’t know how it works. 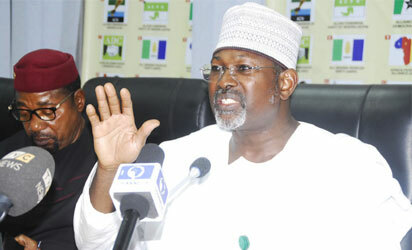 The Chairman of the Independent National Electoral Commission, Prof. Attahiru Jega, has said he does not have any plan to embark on terminal leave. This was contrary to unsubstantiated report that Jega would proceed on a forced terminal leave on March 1. But Jega’s Chief Press Secretary, Mr. Kayode Idowu, denied this saying his boss was busy preparing for the conduct of the elections. Idowu had in an interview on a TV programme monitored in Lagos, on Tuesday, said Jega’s appointment was not guided by civil service rules and would serve until the end of his tenure on June 30. He said the postponement of the elections would make INEC better prepared for the elections scheduled for March 28 and April 11. Nigerians have taken to their social media pages to react to the new poll timetable released by the Independent National Electoral Commission. INEC announced late on Saturday that the general elections would now hold on March 28 and April 11 as against the initially scheduled February 14 and 28. After months of berating the administration of President Goodluck Jonathan, former President Olusegun Obasanjo has declared his support for the presidential candidate of the All Progressives Congress, Maj. Gen. Muhammadu Buhari (retd.). Obasanjo, who is a member of the Peoples Democratic Party, made his opinion known during an interview with the Financial Times at the launch of his controversial autobiography titled, ‘My Watch’, in Nairobi, Kenya. Obasanjo said Buhari, who ruled Nigeria between December 1983 and August 1985, was aware of the challenges of Nigeria today and was qualified to rule the country. Senior Special Adviser to President Goodluck Jonathan on Public Affairs, Doyin Okupe, did not bargain for what he got on Sunday when he was disgraced at an event which held within his own territory at the Presidential Villa in Abuja, Nigeria’s capital. He attempted to disparage the presidential candidate of the All Progressives Congress, APC, General Muhammadu Buhari, when he was booed by the guests at the event. Okupe, known for his scurrilous attacks on APC stalwarts, resorted to saying that Buhari did not go school and as such Nigerians should not vote for him. But his attempts fell flat as the guests at the event on national television disagreed and booed him in defence of Buhari. Minister of Police Affairs Jelili Adesiyan has tacitly admitted that there was an encounter between several top officials of the Peoples Democratic Party (PDP) and a senior military officer who was badgered to intimidate members of the opposition All Progressives Congress (APC) in order to ensure victory for the PDP in the Ekiti State governorship election. SaharaReporters had exclusively released the audiotape of a heated session where PDP members, including (now) Governor Ayo Fayose, Mr. Adesiyan, former Minister of State for Defense, Musiliu Obanikoro, and Senator Iyiola Omisore ordered Brigadier General A.A. Momoh to order troops under his control to arrest and detain APC members in a plot to guarantee victory for Mr. Fayose. After our disclosure, both Governor Fayose and Mr. Obanikoro denied the authenticity of the tape, with Mr. Obanikoro threatening to sue SaharaReporters. 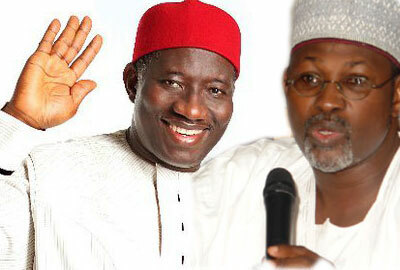 President Jonathan and his team have lost fate in the current INEC chairman Prof Attahiru Jega. They now see him as a close ally of the APC presidential candidate Gen Buhari. Mr president 'll ask Prof Jega whose tenure in office 'll end in june to embark on a three months terminal leave with effect from March 1, 2015 in compliance with the civil service procedure. 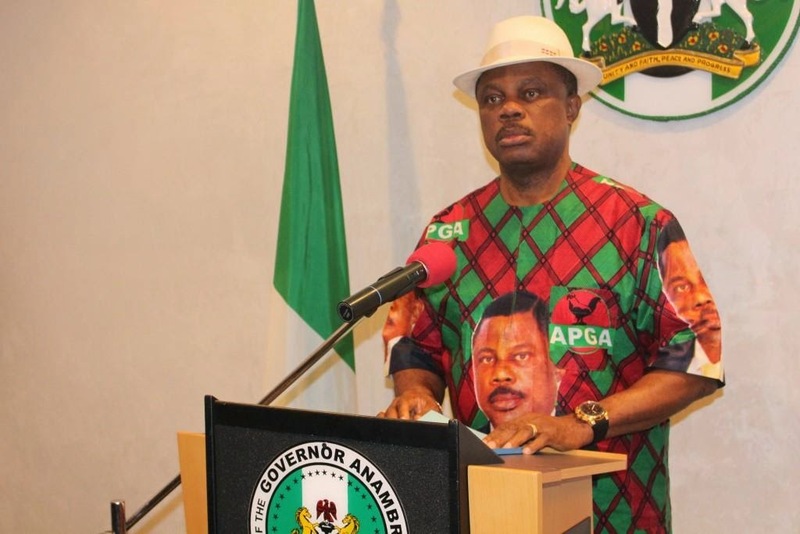 ﻿The Governor of Anambra State, Chief Willie Obiano has continued to show the human side of governance as he set aside the serious issues of the state to pay a surprise visit to victims of a fatal accident that claimed one life and left four others wounded in Onitsha. The governor who arrived Ward 3 of Onitsha General Hospital on Monday afternoon to offer words of encouragement to the recuperating casualties of the accident showed dissatisfaction with vehicle owners whose lack of attention to the need to maintain their vehicles have often led to avoidable accidents on the highways. 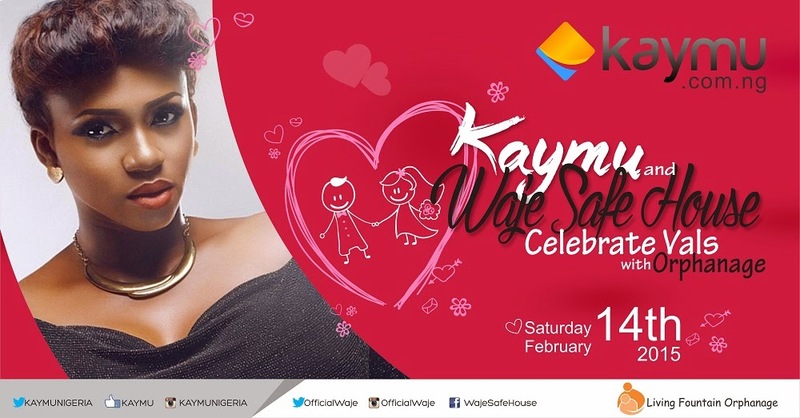 As the world gears up for St. Valentine’s Day, leading online marketplace, Kaymu.com.ng in partnership with Waje Safe House, a foundation established by the award winning musical sensation Waje, is organising a valentine’s day party with kids of the Living Fountain Orphanage. February 14th is a day known all over the world for the celebration of love. Kaymu and Waje Safe House seek to redefine the essence of that day by putting smiles on the faces of kids who have no family to spend that special day with. With the successful postponement of the elections by the Independent National Electoral Commission, INEC, the Presidency has launched a two-pronged war to ensure that President Goodluck Jonathan wins the election convincingly. Anambra Supplementary Election: INEC Chairman Prof. Attahiru Jega addressing pressmen , announcing November 30 for Supplementary election at Anambra State while National Commissioner Lawrence Nwuruku looks on in Abuja. Photo by Gbemiga Olamikan. The two strategies are to stop Muhammadu Buhari, the All Progressives Congress candidate from contesting the election with Jonathan and the replacement of the INEC Chairman, Prof Attahiru Jega, with a less independent-minded person. Jega, it was gathered, had been described by hawks around the president of being too independent-minded and ‘uncooperative’ despite being given the job on a platter of gold by the president’s men. • Thank you for being with us this afternoon. This is yet another critical moment in our history. We have gone through difficult moments like this in the past. Nigeria survived and came out stronger. We are confident that we shall survive this too; because no one, no matter how powerful, can subvert the collective will of the people. • In our preliminary reaction to the postponement of the 2015 General Elections, we noted that the decision taken by the Independent Electoral Commission (INEC) has thrown up so many questions, and that these questions will be reviewed by our party organs for a comprehensive response from the APC. Whilst consultation with the party organs is on-going, this briefing is to provide us opportunity to raise some pertinent questions and put some issues in their proper perspective. • You will recall that on the 22nd of January 2015, Col. Sambo Dasuki(rtd) , the National Security Adviser (NSA) at Chatham House declared that INEC was not ready for the elections and he has therefore advised the electoral body to postpone the election. The reason he gave for his unsolicited advice was that substantial number of registered voters had not collected their Permanent Voters Cards (PVC). He did not say anything about security concern even though Boko Haram was an issue then as it is an issue now. So, at what point did concern over elections shift from PVC to security concern? ﻿The people of Agulu, an important town in Anaocha Local Government Area of Anambra State have pledged total support to the Governor of Anambra State, Chief Willie Obiano and unanimously endorsed the APGA Senatorial candidate for Anambra Central, Chief Victor Umeh and other candidates of the party in the coming elections. Declaring their support today during an interactive session at Agulu Town Hall in Anaocha, the people who trooped out in their thousands to receive the governor’s entourage applauded the APGA led government for initiating numerous developmental initiatives across the state and giving their community a fair attention. 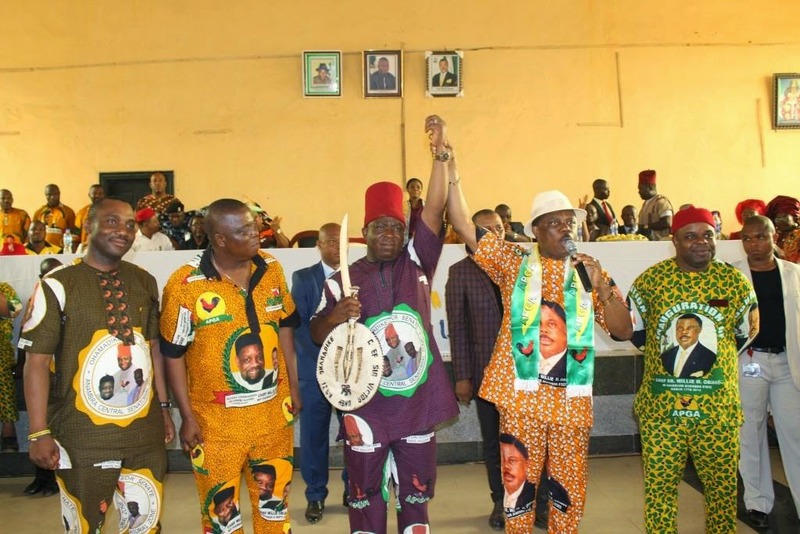 The Electrical Appliances Dealers Market Obosi played host to the campaign train of Chief (Sir) Victor Umeh, the APGA candidate for Anambra Central Senatorial District. In his welcome address, the President-General of Southeast Traders Association extolled the virtues of Chief Umeh. He regaled the people with the story of the exploits of Chief Umeh at the National Confab and affirmed the overwhelming support of Anambra Traders for the candidacy of Chief Umeh. One of the major confirmations of an individual's attainment of full citizenship rights is his ability to vote and be voted for in the electoral process of any country. The right to vote is quite often referred to as the Universal adult suffrage. Yes, the right to vote of every citizen of every country that is of legal age. In Nigeria and many other counties, Universal adult suffrage is pegged at the age of 18 years. However like in the coming of age rites and initiation in Igboland, one is required to fulfill certain conditions in order to fully exercise the right to vote - You have to be registered in order to be able to vote. At no time is this important requirement imperative for all adults in Nigeria and indeed Anambra State than now. Graciously, the Independent National Electoral Commission (INEC) graciously extended the deadline for the collection of Permanent Voters Card (PVC), from the previous January 31st to Sunday February 8, 2015 to enable registered voters yet to collect the PVCs, the opportunity to do so in readiness for the February 2015 general elections. What this simply means is that those who are of age and are not registered have lost the opportunity for now until after the elections, but those already registered can collect their card in readiness for voting on the election days. I sat ensconced in my sofa a week ago ru­minating on all what had happened to our dear country since independence. I had thought about the 30-month civil war and its aftermath – the hues and the cries – the poverty and penury. I had thought also about the journey we have made as a nation since then – the lost op­portunities, the failed and failing infra­structure, the broken promises. Above all, I had spared a thought for millions of our compatriots suffering from one form of deprivation or another, caused by the mindless behaviour of the politi­cal class. Grieved and overburdened by the thoughts I decided to write this letter to all Nigerians as we draw closer to the elections. The main reason for writing you at this critical time of our national history stemmed from the fact that we have failed to learn any lessons from the sordid experiences of our past. It is sad that we have continually failed to appreciate the abundant talents God has given to each of us to develop our country and make it the dreamland we have always craved for. Anambra State Governor, Chief Willie Obiano has distributed the first set of 2,660 bags of rice to pensioners in the State. Performing the function at Independence Square, Amawbia, Governor Obiano said the welfare of pensioners, who served the State faithfully in the past, would remain a priority throughout the life span of his administration. The beneficiaries are retired primary school teachers and local government workers from Anaocha, Awka North, Awka South, Dunukofia and Njikoka local government areas. The Governor recalled that on inception his administration offset N1.8b pension arrears and had since maintained regular monthly payment in line with his promise to deliver on physical and human infrastructure. He restated the resolve of his government to give Awka a befitting capital status and announced that work would soon commence on the Ukwu – Oji Isi – Agu road. Prominent northern groups and individuals on Friday opposed calls for the postponement of the forthcoming general elections while they also vowed to resist any attempt by the Federal Government to sack Professor Attahiru Jega as the Chairman of the Independent National Electoral Commission. In separate interviews with Ashiwaju,org those who spoke lambasted the Southern Nigeria Peoples Assembly led by Ijaw leader, Chief Edwin Clark, for seeking the postponement of the polls. They also condemned the Assembly’s call for the sacking and arrest of Jega for allegedly conniving with northern leaders to rig President Goodluck Jonathan out of office. The SNPA, at a press conference on Thursday, threatened that elections would not hold in the southern part of the country should the commission decide to go ahead with the exercise as scheduled. The polls were billed for February 14 (presidential and National Assembly) and February 28 (governorship and House of Assembly). Jonathan, candidate of the Peoples Democratic Party, is contesting against retired Gen. Muhammadu Buhari of the All Progressive Congress and 12 other candidates at the presidential poll. Those who pushed for the postponement, despite the opposition from the All Progressives Congress and many Nigerians, include the Presidency; the Peoples Democratic Party Jonathan’s loyalists; the National Security Adviser, Colonel Sambo Dasuki; the Chiefs of Defence, Army, Naval and Air Staff, among others. Two weeks ago, Dasuki, while speaking at a forum at the Chatham House in London, asked INEC to postpone the elections, saying the shift would allow for proper preparations and distribution of PVCs by the electoral body. Ekwunife is not electable,says ex NBA boss. Former Chairman of the Nigerian Bar Association(NBA), Onitsha branch, Obele Chuka, has described the candidate of the People's Democratic Party(PDP) for Anambra central senatorial district,Mrs Uche Ekwunife, as an opportunist who has no interests of the people at heart. Chuka who spoke with the New Telegraph in Awka said since the Mbadinuju administration, Ekwunife had been hoodwinking the people of the state and making fortunes from their commonwealth,noting however that the Anambra voters had become wiser this time and would pay the PDP candidate back in her own coins. Governor Seriake Dickson of Bayelsa was humiliated Thursday at the Samson Siasia stadium at the Yenagoa venue of the presidential campaign rally. The governor almost received the treatment meted out to former Governor Timipre Sylva, who was stoned with sachet water at the same venue some years ago, but for the proactive move of the security agencies, who ensured that sachet water, often used as missiles by the crowd, was not allowed into the venue. Due to repeated threats by some youth groups barring the president’s wife, Patience, from attending the rally, security operatives were on their toes to block any attack on the First Lady. As the president made the call of support for Mr. Dickson, the crowd responded with loud shouts of No! No! No!.